Aziz Nasuti Blog: The Beautiful Nature of Norway! The Beautiful Nature of Norway! There are mountains plunging into the sea from hundreds of metres, fjords, cascading waterfalls, deep fjords, breathtaking lakes, islands and tall mountain peaks, northern lights and midnight sun. . The nature is the biggest attraction in Norway! The picture below has been taken in Møre og Romsdal county when I was in a geophysical excursion with NGU team members. 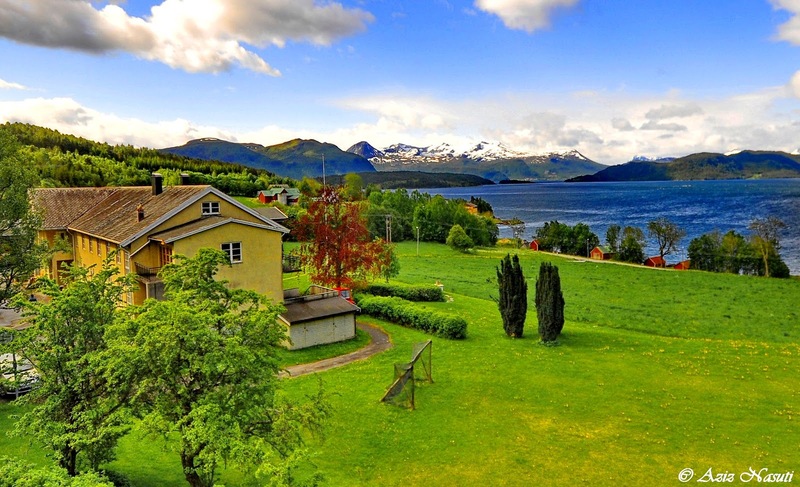 Møre og Romsdal county includes deep fjords, alpine mountains, gentle vallies, countless green islands, wide forests, the wild Atlantic coast, impressive mountain roads, numerous lakes, barren mountain plateaus, charming mountain farms, and the highest waterfalls in Norway. It is just such a pleasure to travel to this part of Norway and if you be lucky with the weather you will never ever forget your trip ;).